We have a new episode of the podcast up with Mel B and Captain Canada hosting! We’ve got two new FS tournaments to announce and one big event to cover from FanimeCon 2018! Sacramento freestylers Uncle Phil and Funktion join us as well to talk over their Fanime experience as well as their history with dance game freestyle in the Bay Area! Our latest podcast episode is up! We sat down with James Szeto (aka 001) to learn about his history with DDR freestyle and his approach to building routines as well as ambassador and USPF 2018 host Kevin Tan for an enlightening discussion on the international Pump It Up scene. Enjoy and be sure to share if you like what you hear! Big announcements today! We knew we didn’t want January’s tournament to be the end of DDR freestyle in 2018, so we’ve launched Takeover as a Brand ™ with the intent to celebrate and foster freestyle in the DDR community and bring you more content & events throughout the year. First item of business is the launch of our podcast! Tune in to hear Paolo, Mel B and James reflect on the performances from the first DDRFS tournament in NorCal in damn near a decade! 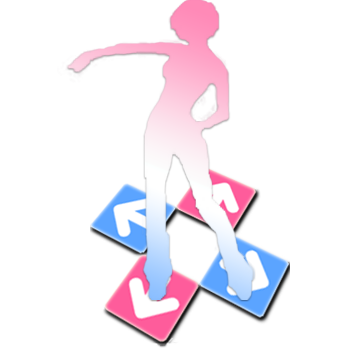 We’re also super excited to share an ongoing project with you: The DDR Freestyle Archive! James is spearheading this with the goal of creating an accessible, centralized repository of tournament performances dating all the way back to the year 2000. For anyone curious about past events or looking for inspiration for their own routines, this thing is a must-see. We’re open to any and all feedback and want to foster engagement and participation in freestyle as best we can. Let us know if there’s anything you’d like to see and be sure to give us a follow on Twitter and Facebook in the meantime! Happy weekend y’all!